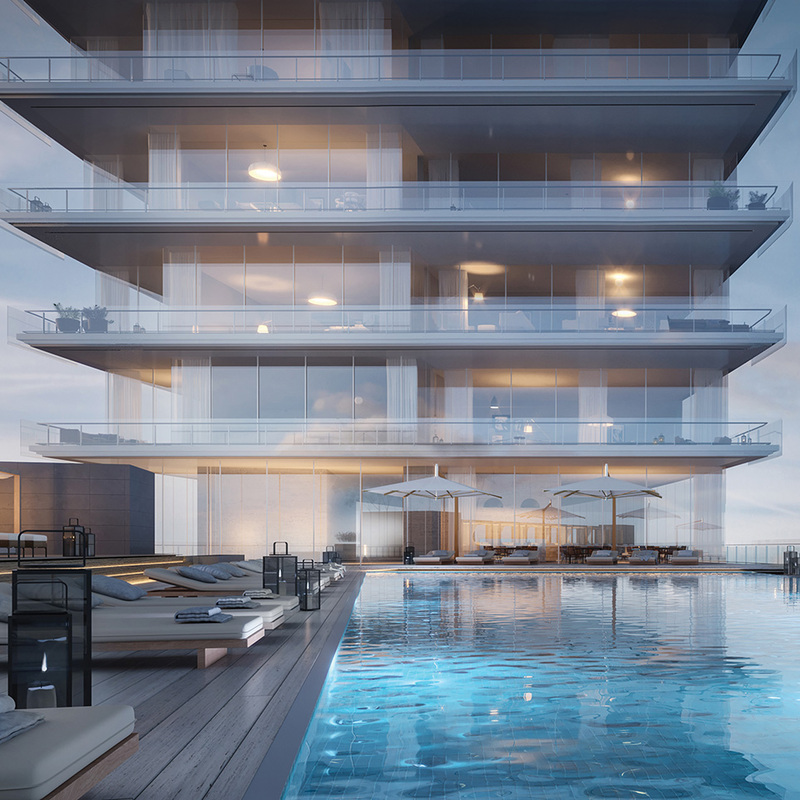 A VISIONARY ARCHITECTURAL LANDMARK Unrivalled prestige, unequalled craftsmanship, uncompromising standards. 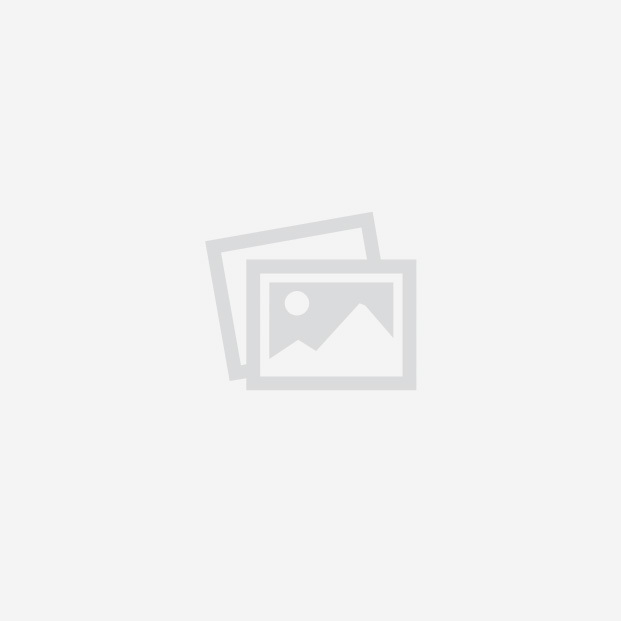 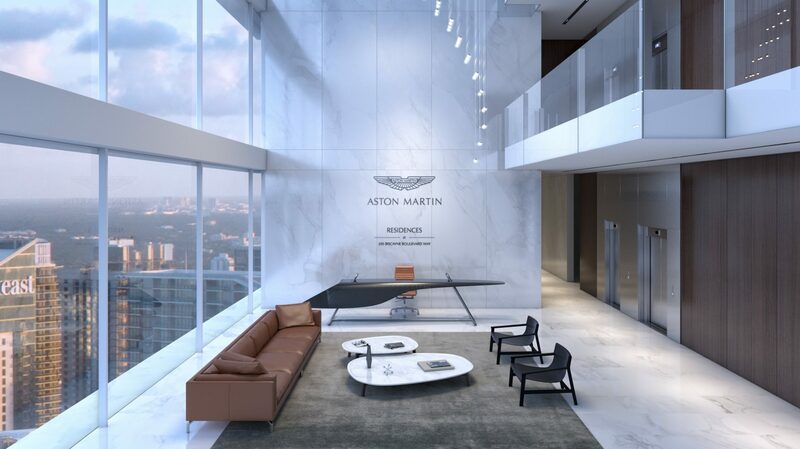 For over a century, the Aston Martin name has been synonymous with excellence in the field of motorcar design and is one of the world’s most iconic, recognisable marques. 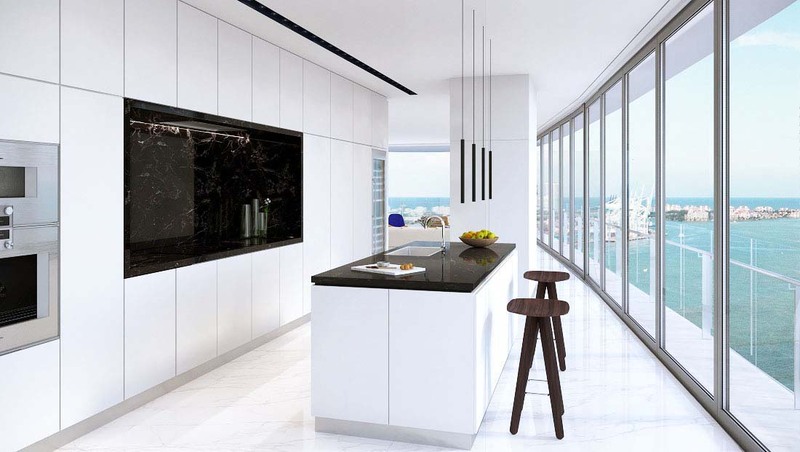 Each one produced is bespoke and handcrafted, making a highly personal statement about the owner who possesses it. 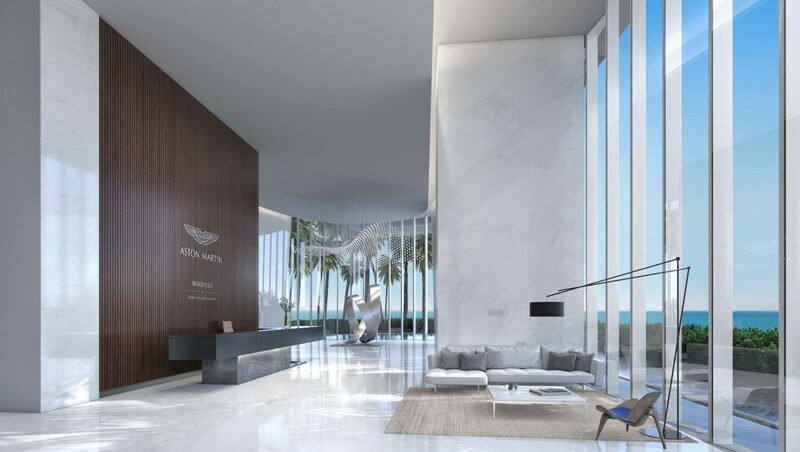 For their vision of 300 Biscayne Boulevard Way in downtown Miami, Aston Martin partnered with renowned developer G&G Business Developments LLC to translate its legendary design into an exclusive real estate venture. 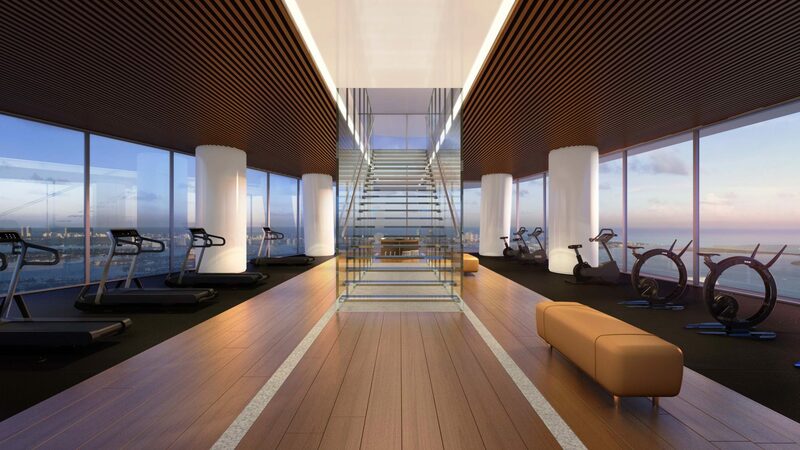 The result is a prestigious, one-of-a-kind edifice that represents the pinnacle of elegant living. 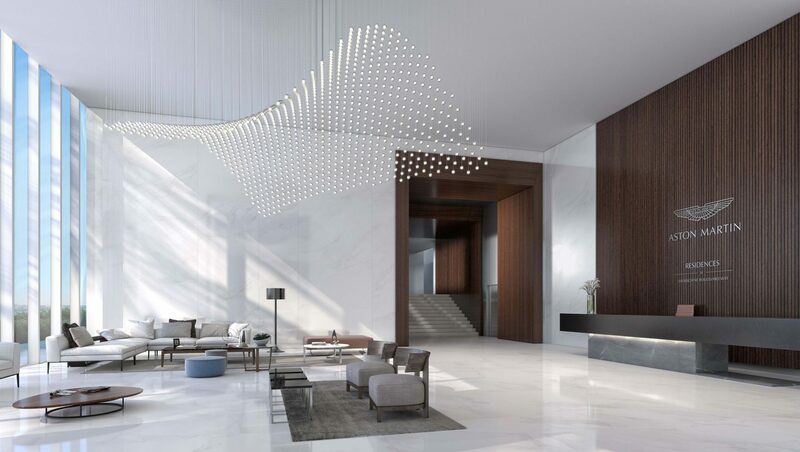 The Aston Martin Residences at 300 Biscayne Boulevard Way melds a brilliant design aesthetic with an ideal location to create Miami’s most striking, coveted address. 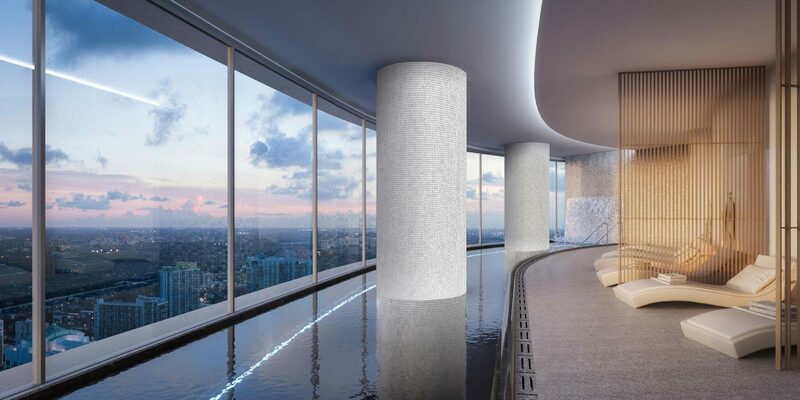 Situated on one of the last parcels of Miami waterfront property to be developed, the Aston Martin Residences at 300 Biscayne Boulevard Way is a symphony of curvilinear glass and steel, soaring 66 storeys into the sky. 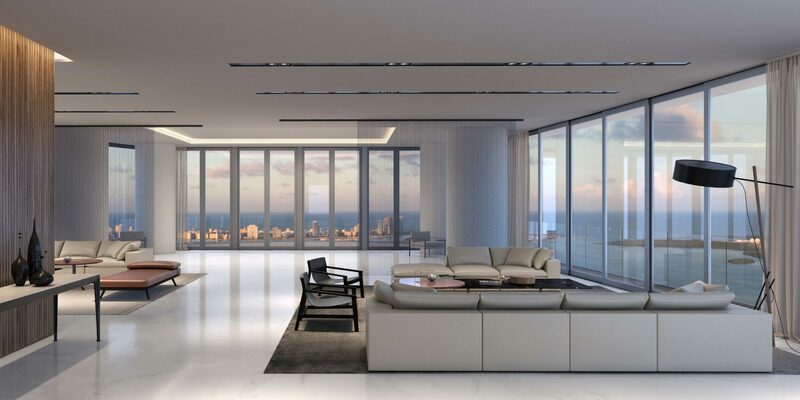 Of its 391 generously sized, light-filled homes, half of which have completely unique floor plans. 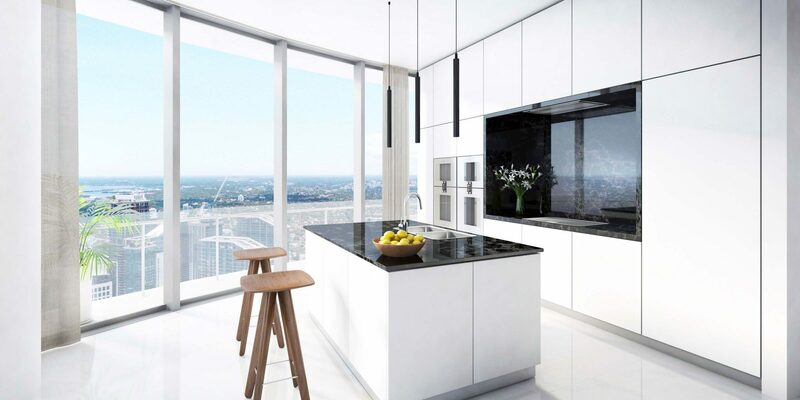 A select few will comprise the most breathtaking penthouses including the jewel in the crown – one superb triplex condominium. 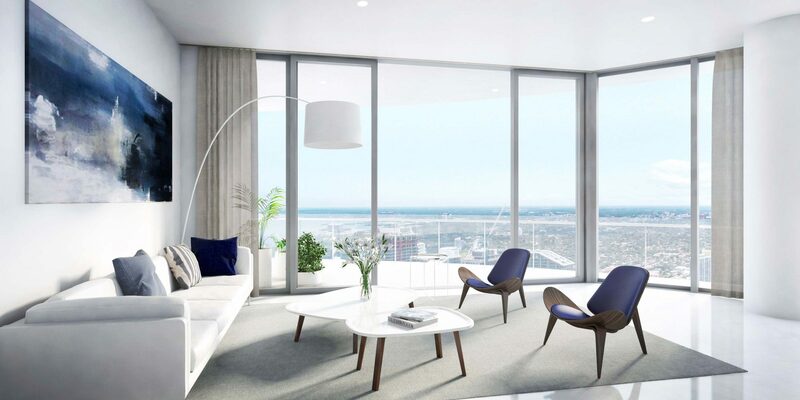 Panoramic vistas of Biscayne Bay, the Miami River and the dynamic Miami skyline abound, providing an ever-changing, dramatic backdrop. 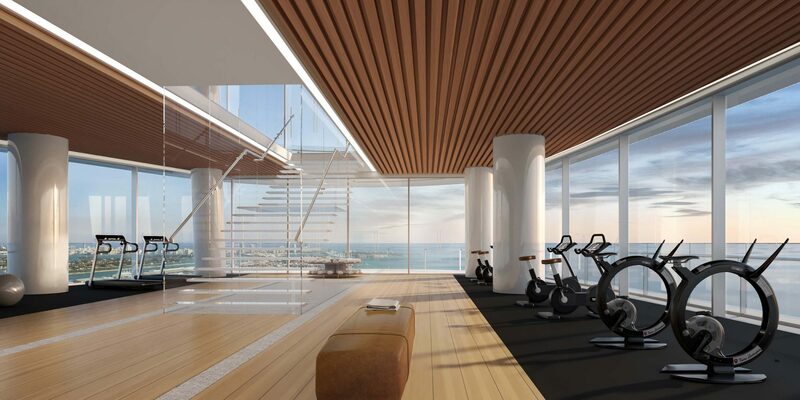 A full complement of amenities such as a state-of-the-art fitness centre and spa, large pool deck, salons, lounges and a marina are all located onsite for total convenience. 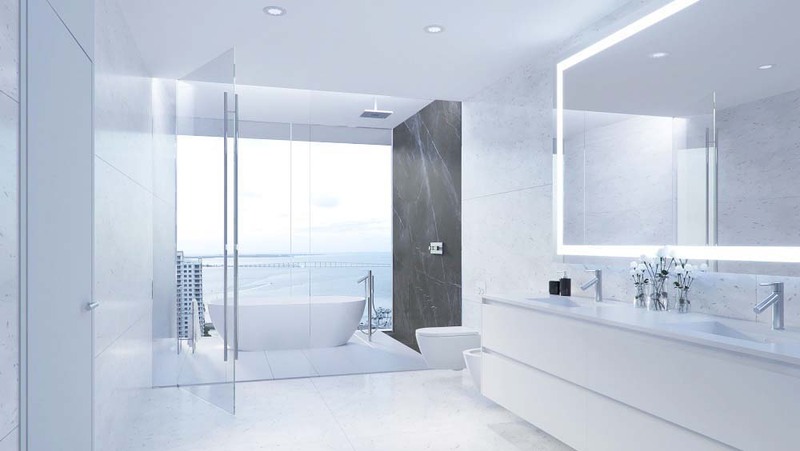 With its captivating design and outstanding features, the Aston Martin Residences at 300 Biscayne Boulevard Way perfectly captures a spirit of graceful beauty and thrilling excitement. 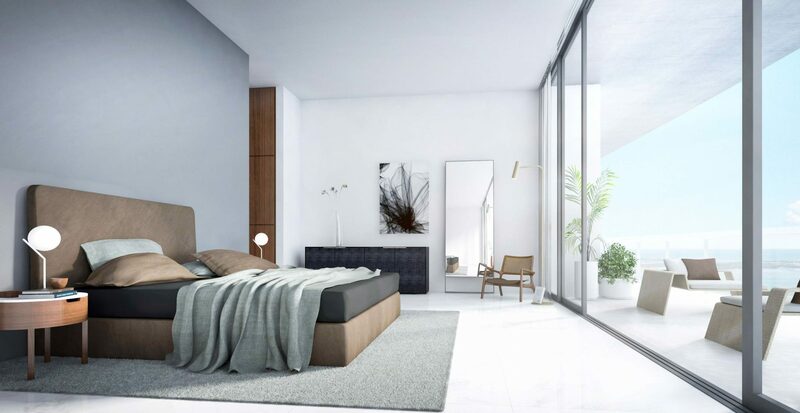 Residents can avail themselves of superb facilities and services carefully selected to heal the mind, relax the body and lift the spirit – all virtually steps from their front doors. 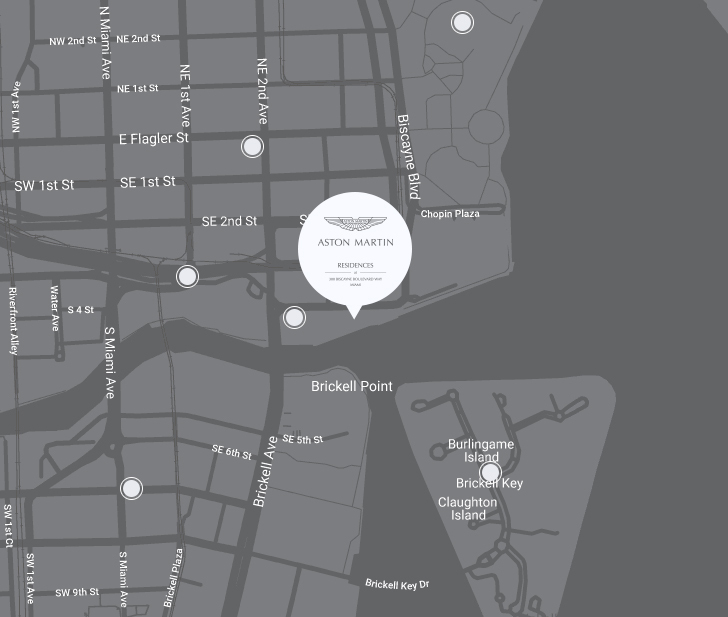 This neighborhood is the oldest settled area of the city and its historic heart. 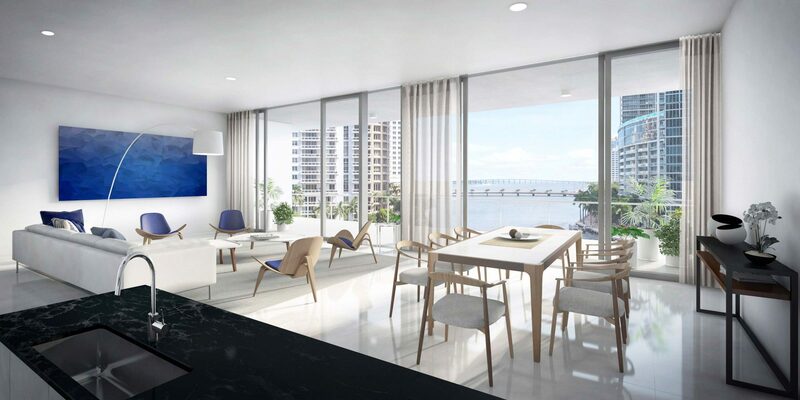 Its status as the cultural, financial and commercial hub of South Florida continues to set its pace as the fastest growing part of Miami. 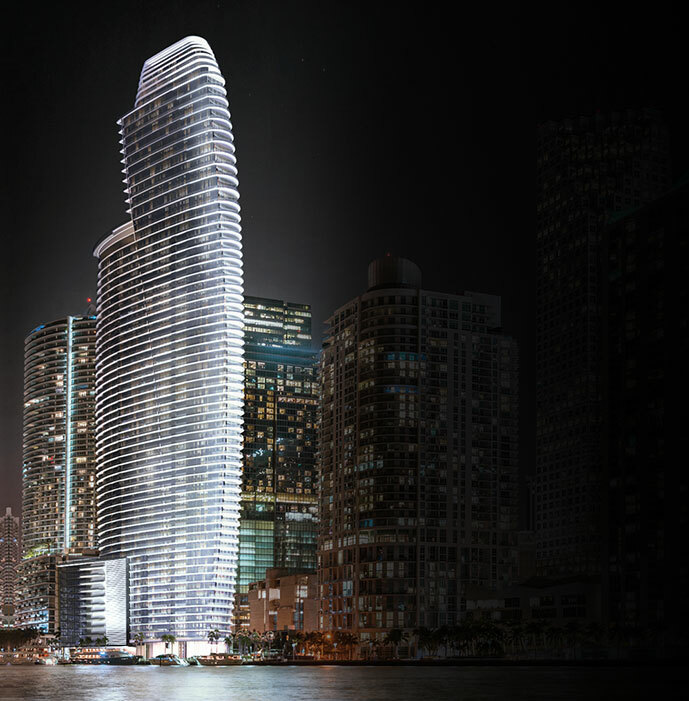 With a rapid influx of people fueling the greatest concentration of high-rises in the region, Downtown, as it is referred to by locals, boasts many major museums, lush parks, renowned schools and universities, key financial institutions, corporate headquarters, courthouses, government offices, theatres, high-end retail, fine dining and more, all side by side with many of Miami's oldest buildings.